Originally established in 1970 as the DSU Booster Club, the Statesmen Club was restructured in 2013 to foster support of men’s and women’s intercollegiate athletics through avenues of giving that include annual giving, scholarship endowment, planned giving opportunities, and special project support. Delta State University prides itself on a tradition of excellence, both in the classroom and on the field of competition. Our student-athletes are excellent scholars as well as competitors, and with the support of the Statesmen Club, that tradition will continue. The Statesmen Club has the obligation and the responsibility, in association with the Delta State Foundation, a legal nonprofit corporation, to use its resources in a responsible and effective manner to foster the mission of Delta State University Athletics. The mission of the Statesmen Club is to aid the Athletics Department in the form of student-athlete scholarships, funding for facility improvements, supplement funding to individual sports, and in many other ways necessary to have an outstanding athletics program. State funding for Delta State Athletics is limited, the Statesmen Club is an integral factor in providing for the excellence of the program. Through donations of DSU supporters, the Statesmen Club is able to provide financial support for student-athletes participating in 13 varsity sports, as well as cheerleading. 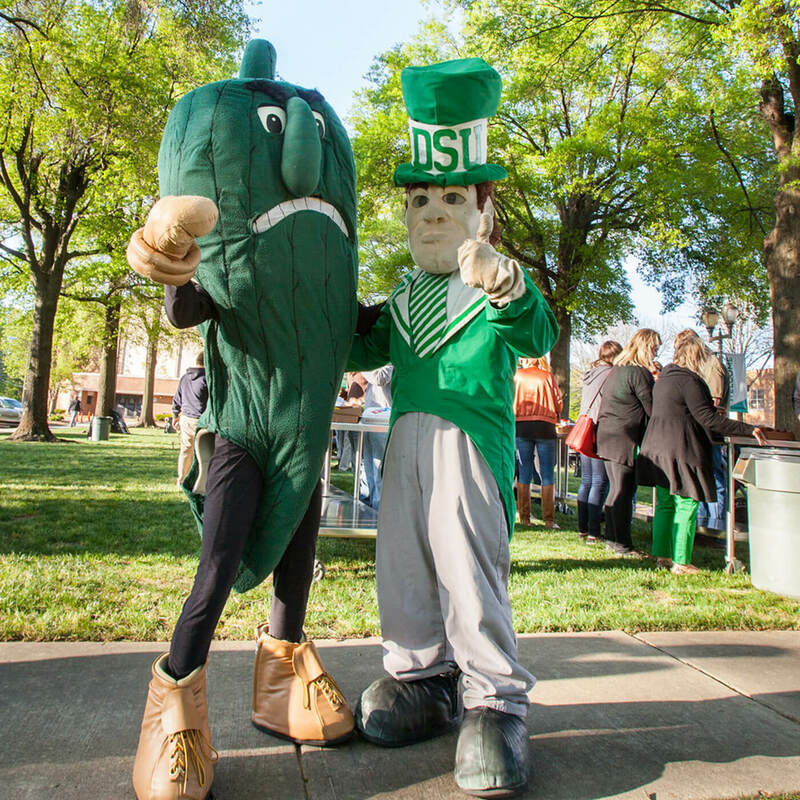 Statesmen and Lady Statesmen supporters throughout the United States and the world show their pride in DSU athletics by being a part of the Statesmen Club. We welcome all DSU alumni and friends. With seven distinct giving levels, The Statesmen Club offers an opportunity to make an immediate and real impact on our nearly 400 student-athletes, coaches and staff. Every dollar raised by The Statesmen Club directly affects our coaches, student-athletes and staff, as we strive to build champions of character on and off the field.